Every conflict we face in life is rich with positive and negative potential. It can be a source of inspiration, enlightenment, learning, transformation and growth—or rage, fear, shame, entrapment and resistance. We live in a discordant world. Things often do not go the way we would like them to. This is particularly true when it comes to our jobs. On the job, conflicts arise between us and our coworkers, our supervisors, our clients, our vendors and with others in our work environment. In our personal lives, we run into conflicting situations with people in our community, members of social and recreational organizations to which we belong, political adversaries and frequently, with members of our family. Even when we are not directly involved in the conflict, we may be adversely affected by the situation and may become involved in resolving it. 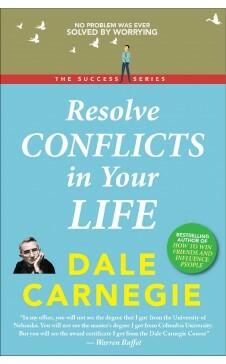 This book examines the causes of conflict and provide guidelines on how to deal with them. • Identifying the sources of conflict so we may determine ways to avoid them. • Uncovering hidden conflicts and getting them out in the open. • Developing guidelines for keeping conflictive situations productive. • Moving beyond conflict without harbouring resentment. • Identifying personal hot buttons and how to deal with disagreements. • Seeing others’ perspectives and presenting our opinions for greater acceptance. This book discusses the techniques of effective negotiation and learn how to prepare for a fruitful discussion about an area in which we disagree. We’ll also learn how to present the best arguments for our point of view and know when and how to reach satisfactory compromises, including the importance of reaching a “win-win” solution. So that each party feels that the solution found benefits him or her. Dale Breckenridge Carnegie (November 24, 1888 – November 1, 1955) was an American writer and lecturer and the developer of famous courses in self-improvement, salesmanship, corporate training, public speaking and interpersonal skills. Born in poverty on a farm in Missouri, he was the author of 'How to Win Friends and Influence People', first published in 1936, a massive bestseller that remains popular today. 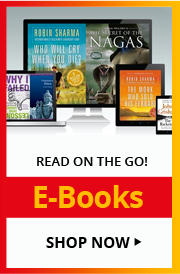 He has written several other books as well which are still popular and relevant to all generations and age groups.